Aske Hall, Yorkshire – December 2012. Photography by Stuart Howat. 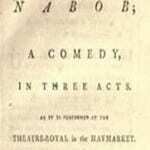 Sir Lawrence Dundas as Nabob of the North? Please note that this case was published on blogs.ucl.ac.uk/eicah in February 2013. It was last checked by the project team on 19 August 2014. For citation advice, visit ‘Using the website’. This case study began in 2010. 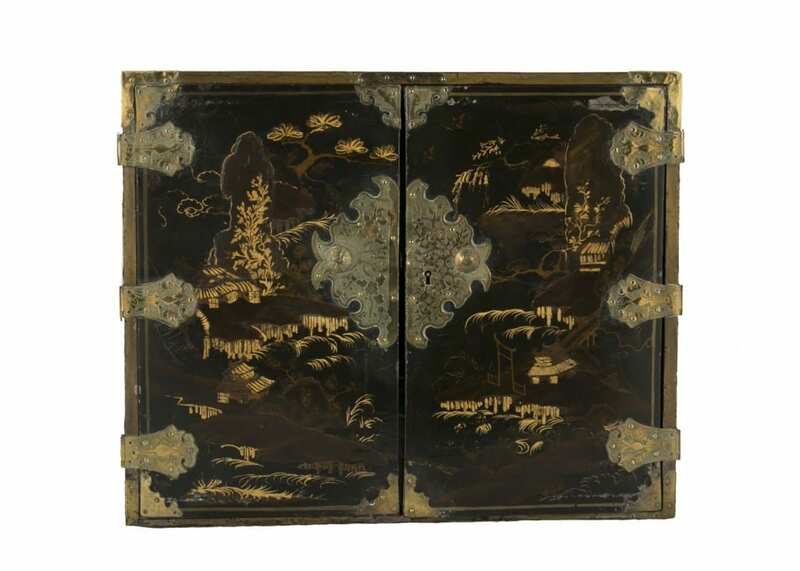 On a visit to Aske Hall in North Yorkshire during the annual Open Heritage weekend, I noticed a range of ‘India goods’ in the house: lacquer screens, trunks studded with mother-of-pearl and Chinese porcelain. 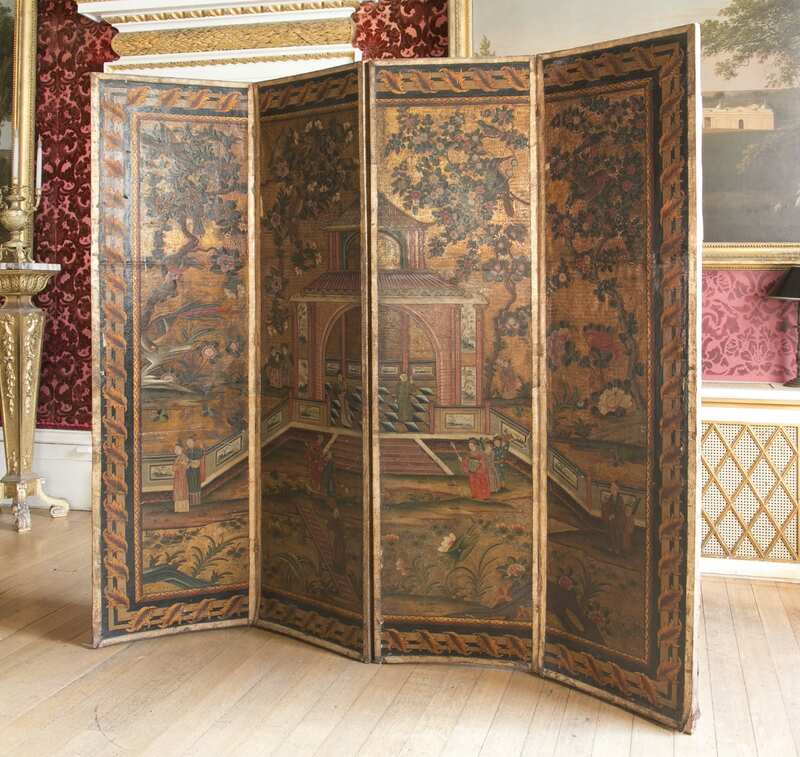 ‘Chinese’ Screen, painted and gilded leather, early 18th century. 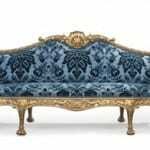 They all appeared to date from the eighteenth-century but little seemed to be known about their provenance, and the owner encouraged research. 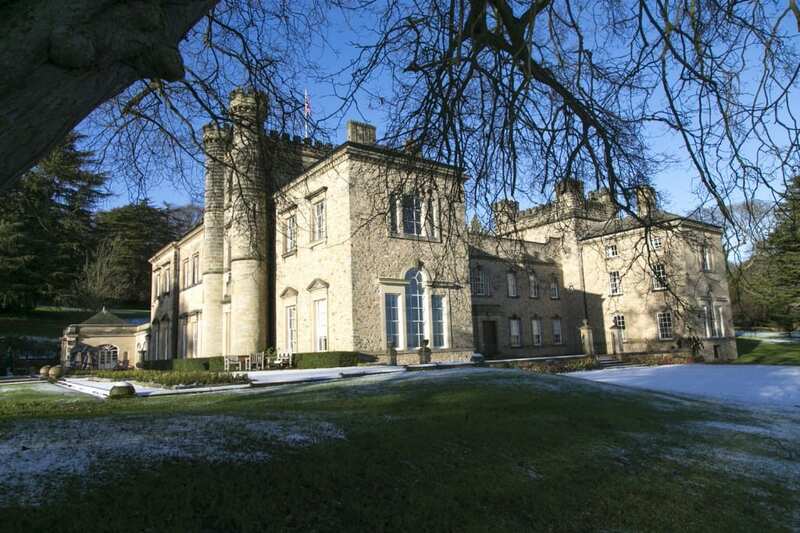 This and the survival of a large family archive connected with Sir Lawrence Dundas (c.1710-81), who transformed Aske Hall into a grand country house in the 1760s and 1770s, prompted a series of questions. 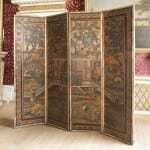 How did these goods get there, what did they mean to the owners of the house, and how did they relate to the more well known and researched interiors created at Aske in the 1760s? Did Sir Lawrence, familiarly known as ‘the Nabob of the North’, have some connection with the East India Company which could be connected with these ‘India’ objects that have survived to the present? [i] This case study shows how ascriptions of ‘Nabob’ taste by contemporaries could be applied to people, places and possessions that appeared, on the surface at least, to have had little connection with the East India Company. Sir Lawrence Dundas, unlike the owners of many of the other houses in this project was never an East India Company servant, nor did he visit India. However, by digging a little deeper, the tentacles of East India Company involvement can be seen to have impacted on Sir Lawrence’s social, political and domestic life. ‘Chinese’ black lacquer cabinet, early 18th century. Photography courtesy of Stuart Howat. This study contributes to the debate about how far and in what ways Asian goods were incorporated into British life. Some historians have argued that these ‘exotic’ commodities were only ‘spotted where returning Anglo-Indians congregated, but not only were their numbers very small in the eighteenth century, but they were largely confined to London and a few towns, mainly in the home counties’. [ii] Others have identified a much wider and greater spread of these objects across time and place. This case study provides additional evidence for the latter view, demonstrating the significance of the East India Company for British society and culture outside the ranks of the Company’s families, and beyond the confines of London. 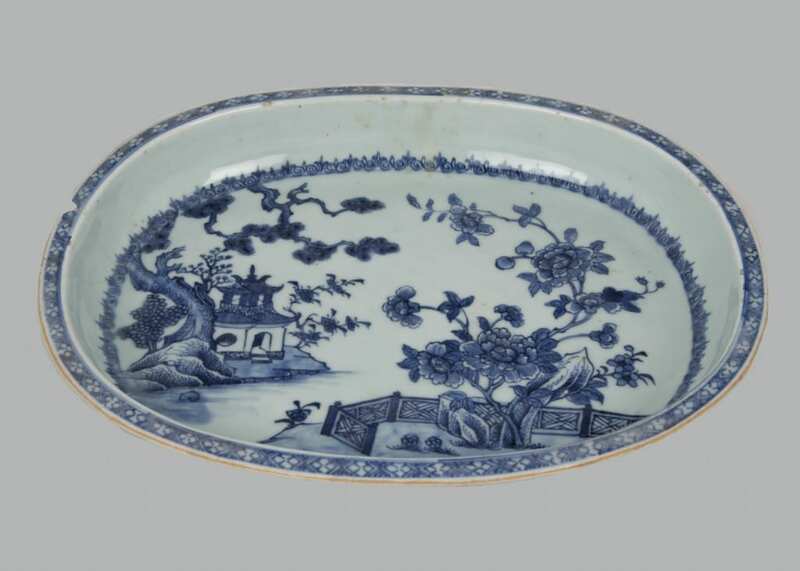 Oval porcelain dish, Chinese, c.1750-70. Photography courtesy of Stuart Howat. According to the Oxford English Dictionary the word ‘nabob’ appeared in the English language around 1612, a corruption of the Persian term ‘nawab’ which referred to high-ranking officials in the Mughal court who acted as deputy governors of provinces or districts in the Mughal Empire. By the 1760s however the word was also applied, by critics of the East India Company, to individuals of great wealth, specifically those who had returned from India with large fortunes, and used that wealth to purchase seats in Parliament. This section of the case study tracks the development of the term nabob. Born to the woolen-draper Thomas Dundas (1681-1762) and his wife Bethia Baillie (fl.1686-1732) in 1721, Lawrence owed his family’s prosperity and estate to his father’s successful business. 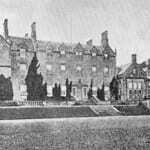 In 1738 Lawrence married Margaret (1715/16-1802) daughter of Alexander Bruce of Kennet, Clackmannanshire and went onto establish a successful business of his own. This section of the case study tracks Lawrence Dundas’ life. Was Sir Lawrence a ‘Nabob’? In 1762 Lord Shelburne (1737-1805) informed Henry Fox (1705-1777) that Lawrence ‘Dundas, the Nabob of the North, writes me to desire I’ll get him a baronetcy’. This section of the case study questions how and why Lord Shelburne referred to Sir Lawrence Dundas as a nabob. Although Lawrence Dundas was never a ‘servant’ of the East India Company, he was closely involved in its affairs. 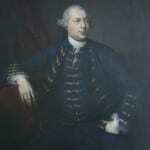 He bought considerable shares of East India Company stock for himself and on behalf of others; he worked with a number of East India Company commanders and captains who appear to have been relatives or had associations with his family and homeland in Scotland; and he used his connections with the Company to bestow patronage. This section explores Lawrence Dundas’ financial, political and personal connections to the Company. After receiving his baronetcy in 1762 (and the death of his father the same year) Lawrence Dundas began a ten year campaign of purchasing and transforming a series of magnificent houses to reflect his wealth, taste and power. This section of the case study tracks the growth and development of Lawrence Dundas’ property empire. If one of the attributes of a nabob was to live with pretention and ostentation, then the furnishing of the home would surely be a key indicator of this taste? 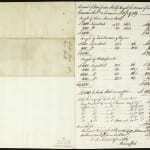 This section uses inventories, correspondence and visual sources to answer this question. This section of the case study explores an unusual concentration of ‘India goods’ that existed in a rather overlooked Dundas property, Kerse in Stirling, purchased by Lawrence Dundas, c.1749. As John Harris has noted, although it was ‘an unremarkable five-bay three-storey house’ with little architectural merit, it was a very significant purchase for Dundas. On his death in 1781 ‘Lawrence Dundas of Arlington Street in the County of Westminster’ left ‘to my dear son Thomas Dundas all my real estate in England, Ireland and Scotland and in the West Indies’, and made him sole executor of his will. This section of the case study examines what happened to the many family properties after Sir Lawrence’s and draws to conclusion the case study as a whole. 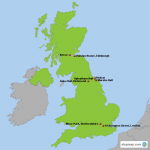 For a timeline of Sir Lawrence Dundas’ life, click here. 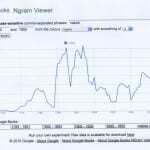 For a bibliography of primary and secondary sources referred to in the case study, click here. TO DOWNLOAD THE FULL PDF VERSION OF THE CASE STUDY – click here. The text and research for this case study was primarily authored by Helen Clifford, Senior Research Fellow on The East India Company at Home project.